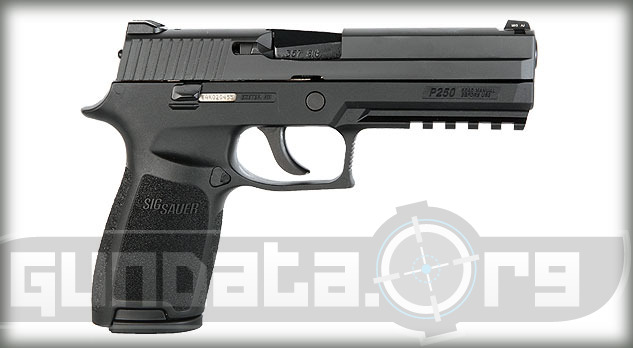 The Sig Sauer P250 Full Size was designed and released onto the market in 2007 by Adrian Thomele, Thomas Metzger, Michael Mayerl, and Ethan Lessard . It is a full-size modular designed frame and fire control assembly for military and police purposes. 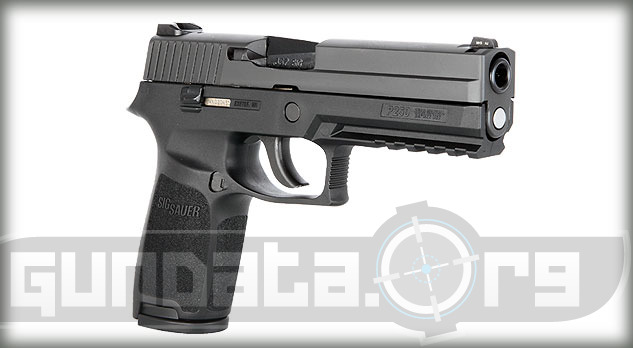 It has no manual safety features to allow shooters to have instant access to firing the weapon. 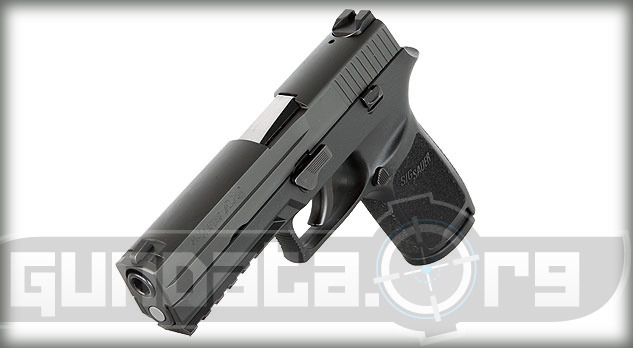 The magazine can hold 17-rounds of 9mm, 14-rounds of .357 Sig or .40 S&W, along with 10-rounds of .45 ACP ammunition. 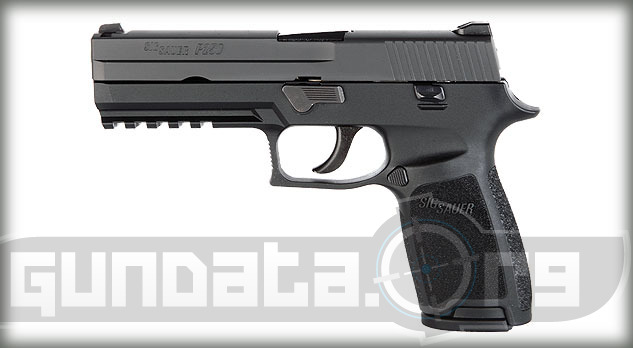 The overall length of the P250 Full Size is 8.1-inches, with a height of 5.5-inches, and a 4.7-inch barrel. The frame is made of stainless steel, with a stainless finish. The slide has a natural stainless finish or a Nitron finish. The trigger system is interchangeable with a standard or short configuration, and has a double action only (DAO) pull of 6-pounds. The sights come in two options, with the 3 white dot SigLite sights, or contrast fixed front notch and rear U-notch. 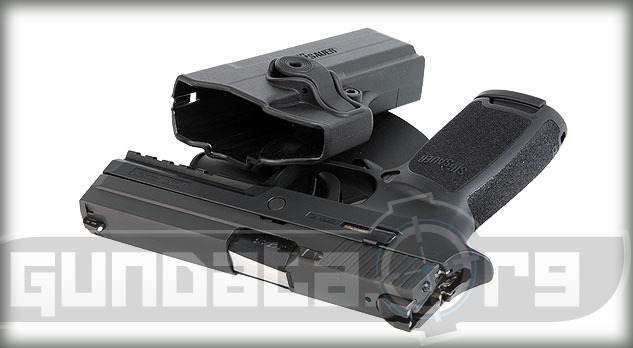 It has an accessory rail to allow for a tactical light or laser to be mounted on it.